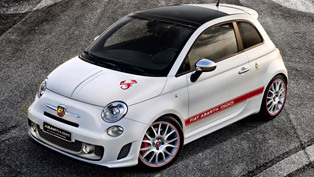 The new line-up of Abarth 595 models is already here, two months after the release of the special 124 Spider. 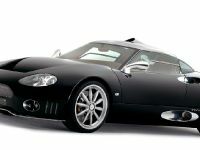 The car keeps the same cute appearance, steps over it and adds more with exclusive features, more powerful engines and vastness of product innovations. The 595 is compact, agile, and lightweight, and offers unique driving experience. For the new model year it will be available as a hatchback and a convertible, within three trim level: 595, 595 Turismo and 595 Competizione; as well as three power levels. Important to be mentioned is that the innovations included in the new model have been empirically affirmed with their utilization in the 695 Biposto. 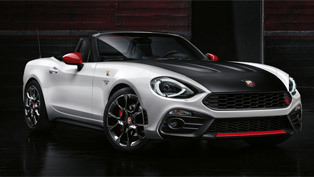 SEE ALSO: Abarth Teams Up with Yamaha MotoGP Team! Even with the entry level model, the affordable 595 version, the customers will get all standard equipment needed to ensure fantastic driving experience. 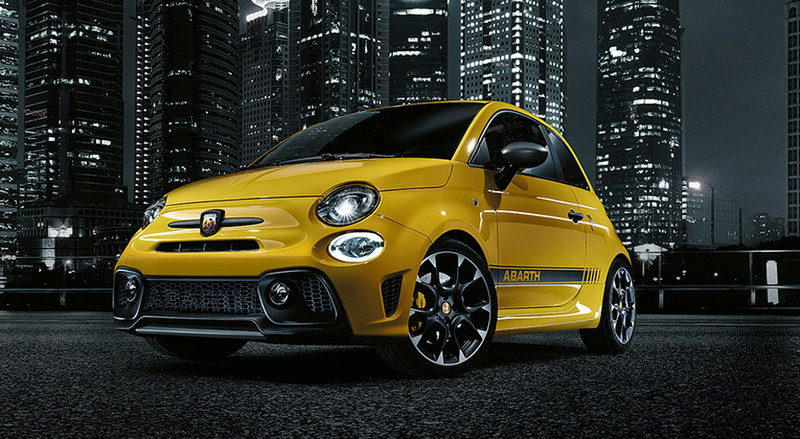 On the other hand, the Abarth 595 Competizione and 595 Turismo versions express other two distinctive souls: the first is more "purist" and performance-built; while the second makes reference to the typical values of the Italian GTs in a compact size. The increased power of the 1.4 T-jet engine that drives the 595 and 595 Turismo versions now measures 145 HP (107 kW) and 206 Nm (152 lb-ft) of maximum torque. The second, featuring a Garrett turbine, reaches 165 HP (121 kW) and 230 Nm (170 lb-ft). The most powerful 595 Competizione with its 180 HP is accelerates from 0-100 in 6.7 seconds and then uses braking safely with the Brembo braking system with four-piston fixed aluminium callipers. 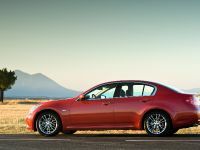 The drivetrain comes as a standard with manual five-speed gearbox. The option is the Abarth robotised sequential gearbox with shift paddles. One of the coolest updates is that the 595 Competizione could be ordered with mechanical limited-slip differential (Abarth D.A.M. 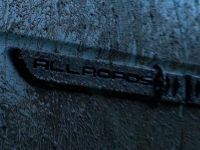 ), which improves traction in extreme conditions. What is more, the Abarth D.A.M. 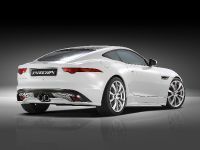 is contained as a standard within the new Performance Pack. 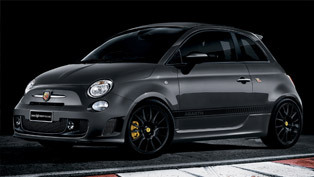 It is only optional for the Abarth 595 Competizione with manual gearbox and comprises of 17" Supersport rims and Sabelt leather/Alcantara seats with carbon shell, carved aluminium 595 badge and the red, white or glossy black customisation pack. Next come the Koni FSD (Frequency Selective Damping) shock absorbers for 595 Turismo and 595 Competizione, the new front end with oversized air intake, the more pronounced rear diffuser and new specific inserts. 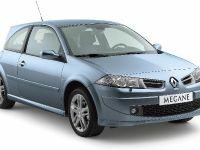 Polyelliptical headlight clusters and LED daylights are standard on all versions, while the xenon headlights available on request. Abarth is also offering the new lightweight 17-inch Granturismo alloy wheels, next to the extended exterior color palette, which now includes Modena Yellow, Abarth Red, three-layer Iridato White and the Scorpione Black/Podio Blue, Scorpione Black/Record Grey and Pista Grey/Abarth Red bi-tone paint schemes. In terms of the interior updates, the Abarth 595 models benefit from extensive Alcantara and carbon fibre utilization as a standard. 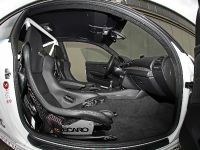 The optional variant is the Corsa by Sabelt leather and Alcantara®seats with carbon shell. In addition, the new sporty flat-bottom steering wheel now features viewfinder. 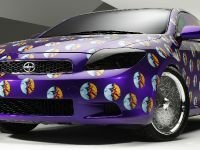 There is also unique racing-derived instrument panel. 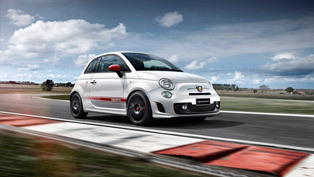 For the first time, Abarth is debuting the Uconnect system. It includes two 5'' and 7" HD screens, navigator and DAB digital radio as well as the powerful 480 W BeatsAudioTM Hi-Fi system with seven speakers. 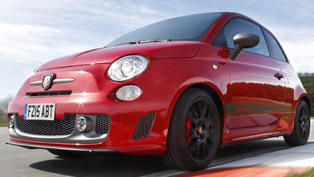 The latest variants of Abarth 595 will have market launch in June.